Mobile computing has been a hot research field in the past decade. 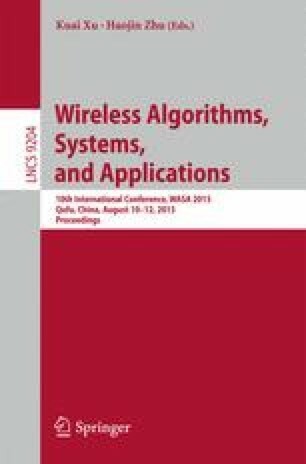 Although the computation capability of mainstream smartphones are several orders of magnitude better than desktops twenty years ago, the capacity of battery does not increase at the same pace. Thus, the gap between battery life and the demand from applications increases. To save energy, certain recent work tries to schedule network traffic according to signal strength variations. To achieve this goal, a platform that is used for collecting signal strength traces is essential. We first design and implement a platform to collect cellular network information, including cell ID and signal strength. We then deploy the platform and collect signal strength information in one area of Finland. After a set of carefully designed experiments, we make several interesting observations: (1) the density of base stations is much higher than expectation; (2) small cells account for a large portion in the overall cells; (3) in the same location a device may connect to different base stations, which is also applicable to different devices. Based on the observations, we design a novel energy-efficient positioning system called “Handprint”, which utilizes fingerprint information from neighbouring devices to assist positioning. Performance evaluation demonstrates that, compared with Google Geolocation API and other existing work, our Handprint system can improve positioning accuracy by more than 20 %.